"Being a part of the Foundation’s greater giving community benefitted us and supported our efforts in several important ways." We established our donor advised fund with the Rancho Santa Fe Foundation in 2011. Our philanthropic goals were to get more intentional and focused with our charitable giving, and also to simplify our lives a bit! Being a part of the Foundation’s greater giving community benefitted us and supported our efforts in several important ways. One is that we became associated with and had the opportunity to interact with other charitably-minded individuals and families, and to exchange ideas and perspectives. A second major benefit was the due diligence that the Foundation does on our local charitable entities – their work helped us be more effective and focused in our giving. Lastly and not unimportantly, the efficiency of having the Foundation manage a variety of different distributions made our charitable bookkeeping much easier, and the anonymity of the Fund kept our contact information from being distributed to third parties. 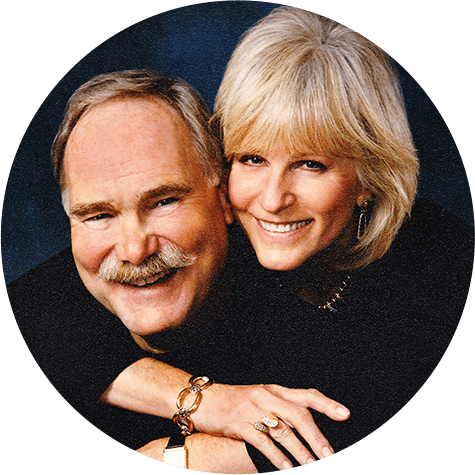 An added bonus is that the people at the Rancho Santa Fe Foundation are extremely pleasant and helpful, and the good investment results we’ve experienced have further augmented our charitable giving. "The RSF Foundation set up our Donor Advised Fund and the rest is history. We now only suggest where our donations are to be sent and the Foundation completes the transaction." We were so close to establishing our own family foundation before realizing that a Donor Advised Fund would provide everything we needed without the cost, hassle and reporting requirements. The RSF Foundation set up our Donor Advised Fund and the rest is history. We now only suggest where our donations are to be sent and the Foundation completes the transaction. Thank you RSF Foundation. "As donors, we are able to be more efficient with our donations knowing that our contributions are going to support properly run charitable organizations." 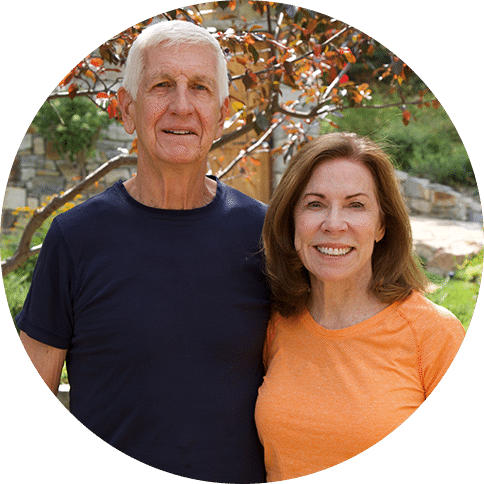 In December, 2013, Pete and Adela Peterson established a donor advised fund with the Rancho Santa Fe Foundation. A donor advised fund makes charitable giving so easy. As donors, we are able to be more efficient with our donations knowing that our contributions are going to support properly run charitable organizations. We find it much easier to manage our charitable budget for the year, review organizations we’d like to support, and convey to the Foundation those grants we’d like to fund. The Foundation has taught us how to evaluate charities, in addition, to helping us find new organizations we’re considering for support. As donors, the Foundation gives you a feeling of comfort when making your contributions. It’s an excellent vehicle and unique organizational resource. Upon entering my retirement, and having more time to devote to other interesting pursuits, I got involved with the RSF Foundation and am now an advisor for The Patriots Connection (TPC). I have always tried to support our military and veterans organizations and this gave me a great insight and road to help. I serve on the TPC Grants committee, whose purpose is to review those nonprofit organizations wanting to be listed on our San Diego Directory, as well as evaluating and recommending monetary grants to those organizations requesting our help. I was very impressed with not only the thoroughness of the Foundation’s due diligence process, but its personnel and advisors who ensure those organizations requesting listing or grant funding have met very specific standards, including their continuity of those standards. Having the privilege of working with the RSF Foundation has been a wonderful and eye-opening experience. "The RSF Foundation is a great resource for identifying charitable opportunities in the community and across the country." The Rancho Santa Fe Foundation continues to be a great resource for our philanthropic goals while enhancing the community’s positive impact in San Diego. The donor advised fund provides an efficient method for donating to multiple charities while safekeeping assets for future philanthropic opportunities. The RSF Foundation’s donor website makes it especially easy to donate to multiple organizations and track monthly or one-time gifts. This makes life much easier come tax time! The RSF Foundation is a great resource for identifying charitable opportunities in the community and across the country while bringing like-minded individuals together for a common goal. 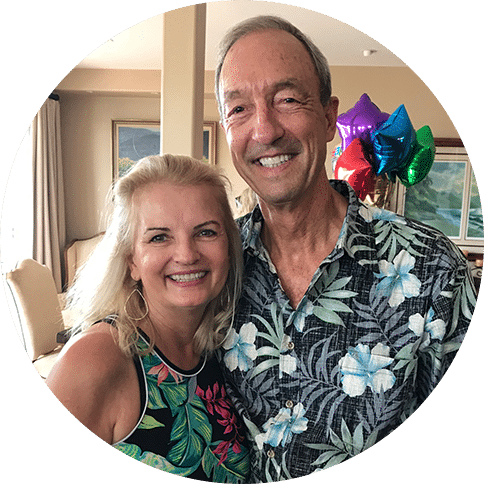 "A donor advised fund at the Rancho Santa Fe Foundation provided us with a support network to help manage our assets and assist us in executing our mission." In memory of our daughter, Brooke Shannon Snyder, our family created the Brooke Foundation in 2005. Brooke had been killed by a drunk driver in San Francisco on August 25, 2002. She was an avid reader her entire life. We thought a foundation dedicated to early childhood literacy would be a fitting tribute since being able to read is the basis of academic achievement and success in life. Brooke graduated with honors from Miami University, Ohio and received her law degree from the University of Chicago School of Law in 2000. We operated under this structure for five years, making grants consistent with our mission. As we were previously active at the San Diego Botanic Garden (then Quail Botanic Gardens), our first series of grants was in support of visits to the gardens for low-income, preschool students. We later expanded to support other local literacy programs, including North County Community Services, Reach out and Read San Diego, and several others. In 2011, we decided to discontinue our corporate structure and operate our foundation within the framework of a donor advised fund at the Rancho Santa Fe Foundation. This transition eliminated a great deal of administrative time and expense involved in operating a foundation. With the private foundation, we were required to annually file complicated state and federal tax forms, hold periodic formal meetings, document minutes and have annual election of officers. In addition, we managed the foundation’s assets and investments. A donor advised fund at the Rancho Santa Fe Foundation provided us with a support network to help manage our assets and assist us in executing our mission. Our investments are managed far better than we could do ourselves. The transition was seamless and has now provided us an excellent way to better focus on our mission. "Being on the RSF Foundation Board revealed so many good people and ways of giving back to our community." Helping the boys at New Haven Youth and Family Services is personal for Gigi Fenley. When they needed a DJ, she found one – but not for the school dance. Her contact at New Haven told her that one of the boys really wants to be a DJ, and did she know any DJ’s to mentor him? She remembers thinking, “I don’t really know any DJ’s.” But the story didn’t end there. Gigi sees a “vacuum” that needs to be filled for the New Haven boys. “Every boy needs some kind of male role model or mentor, so every time there’s an event I try to get those kids there,” she said. They attended the Village Viewpoints presentation by Louis Zamperini and the CSUSM event for The Patriots Initiative with featured speaker, Major General Anthony Jackson. The boys can also be spotted at Padres games, thanks to Gigi. Volunteering and philanthropy are a way of life for Gigi and her family. Both of her children now have donor advised funds at the RSF Foundation. Mom and kids jointly, from their three funds, made a donation for a journalism scholarship at her husband’s alma mater to honor one of his beloved teachers. And the thank you notes are still coming – now they are from the New Haven boys. 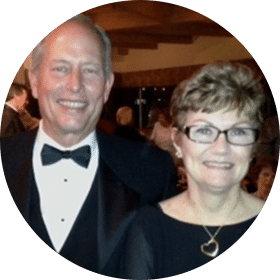 "The evolution of our relationship with the Rancho Santa Fe Foundation is quite personal; however, by sharing our story it might be helpful to others in discovering the value of professional help and guidance." 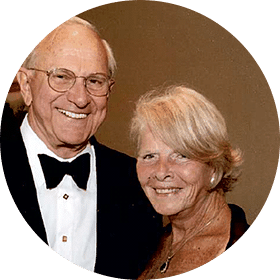 Richard Woltman tells the story of Kaye’s philanthropy and how, together, they enhanced their philanthropy through a donor-designated endowed fund at the Rancho Santa Fe Foundation. Kaye Woltman (1936 – 2010) experienced philanthropy first-hand early in her life, when she was just seven years old. The year was 1943, and World War II was raging. Following her father’s death, Kaye attended a boarding school. In those difficult economic times, the school depended on philanthropic support to meet its budget. As she came to understand the role that alumni donors played in making her education possible, she began a life-long commitment to helping the underserved. 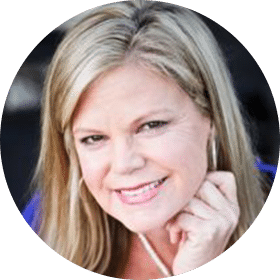 Kaye was a successful businesswoman, and she credited education, hard work and an ability to focus as keys to her success. These personal values led her to the areas where she would primarily direct her volunteering and charitable giving: education, health care and community support programs. 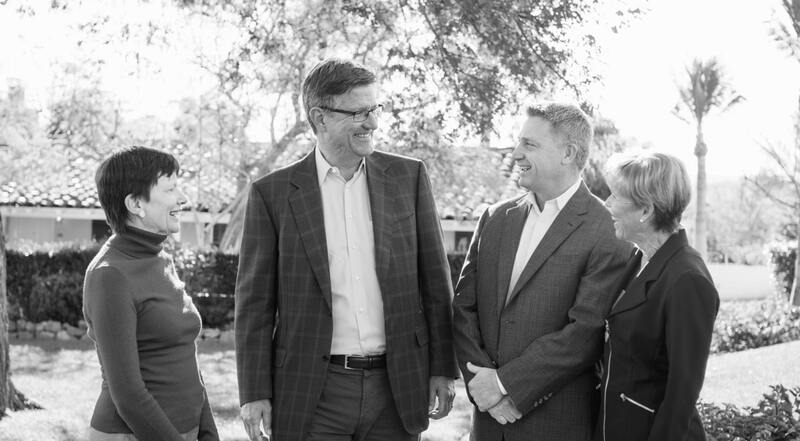 The evolution of our relationship with the Rancho Santa Fe Foundation is quite personal; however, by sharing our story it might be helpful to others in discovering the value of professional help and guidance. In 2004, a tragedy took place in our lives. Kaye’s daughter lost a battle with non-Hodgkin’s lymphoma cancer. In order to honor Melisa, Kaye directed that, after bequests, the residue of her estate would go to a designated fund named the “Melisa Reasner McGuire Endowed Fund.” This allowed our original plan for asset distribution and donations to stay in tact, and we are able to designate donations as recommended by a family-designated advisory committee. Kaye wanted to preserve capital through the designated endowed structure. Her goal was to only distribute the earnings from the fund. This would enable participation in future research discoveries in health care as well as future developments in community service institutions and education. These specialties will benefit from the endowed structure. Further, two-thirds of the distributions are to be made in San Diego, as Kaye believed in supporting the community in which one lives. 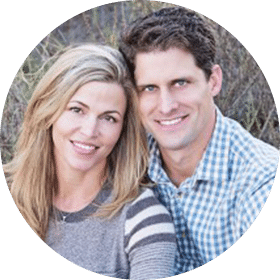 "Although we had previously set up a family foundation, we realized that a Donor Advised Fund was a much simpler way to handle the majority of our donations." We moved to Rancho Santa Fe in June 2001. Our daughter, Lindsey, was just four years old, and it seemed like an ideal place to start the next phase of our lives. We just fell in love with Rancho Santa Fe. The close-knit community, the schools, the climate and the life style all drew us in. Before moving south we had lived for seven years in the Bay area where Duff, who also goes by Sandy from his Navy days, had been an executive at Oracle Corporation. Sue had already left her career as a financial executive at NBC in New York when we moved to the West Coast. After achieving a certain level of success at Oracle, Duff felt it was a good time to start giving back. The idea of moving from “success to significance” in this phase of his life resonated with him. While we had always supported philanthropic causes, this new phase was much more active. Although we had previously set up a family foundation, we realized that a Donor Advised Fund was a much simpler way to handle the majority of our donations. So in 2004 we opened a Donor Advised Fund at the Rancho Santa Fe Foundation. Education, which we had both benefited from so greatly, continued to be a passion for both of us. Duff was one of the founding board members of the Pacific Ridge School in Carlsbad, CA, and chaired the board from 2006 until 2008. Duff has often said that he is proud of many of his accomplishments in life, but his involvement with the opening of Pacific Ridge remains at the top of the list. More recently, Sue has become engaged with Worldreader. 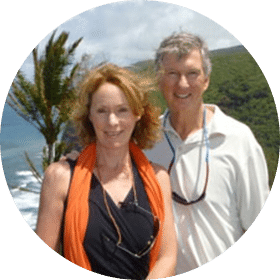 When we were moving to Spain for a “sabbatical” year in 2008, one of the first people we met on an exploratory visit was David Risher. As stories often go, our paths were to cross many times again. In 2010, David founded Worldreader, an organization that gives people in the developing world access to digital books. Using e-readers and mobile phones, children and their families gain access to tens of thousands of local and international e-books; they become better educated and have the opportunity to improve their lives. We became active supporters of Worldreader, and in 2013, Sue joined the board. As we prepare to be empty-nesters in the not-so-distant future, we contemplate where this next phase will take us. But, no doubt, finding causes that we care deeply about, and supporting them through our donor advised fund at the RSF Foundation, will be an important part of the equation. Ready to make a difference? Learn more about our funds and grants. See the many benefits and how you can set up a donor advised fund at RSFF. Learn about endowment funds and the organizations that have these funds at RSFF. Discover the ways to give and receive grants through charitable funds and programs at RSFF.